Day 026 | Who is an Insured? Clyde and Cora had been dating for quite sometime. Clyde recently bought a home in the suburbs. He decided he wanted to take their relationship to the next level, so he asked Cora to move-in with him. Little did Clyde know how much stuff Cora had. After a few months they got settled in. One evening Clyde was out-of-town on business. Cora decided to have a few friends come over for wine, sushi, and a rousing game of Yahtzee. One of Cora’s friends, Debra, got up to go downstairs. As she started down the stairs, Debra tripped over the area rug tumbling all the way down. Overall, Debra was ok. A few broken bones. However, she decides to sue Clyde and Cora for her injuries. 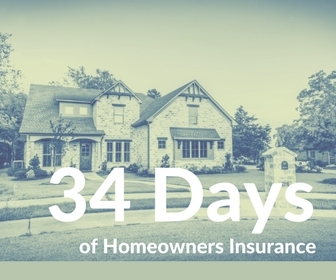 You are insured under your homeowners insurance. Your name is on the policy. Providing she’s a resident of your home. This could be your immediate or extended family. As the case unfolds, Clyde’s homeowners insurance pays to defend him. Sadly Cora does not meet the definition of an insured by Clyde’s homeowners insurance policy. She doesn’t have any Personal Liability protection. Therefore she has no coverage in the lawsuit. Clyde and Cora never sat down with their insurance agent to discuss their living arrangement. They could have named Cora to the policy so she would have been afforded the same liability and personal property protection as Clyde.